In this issue: a band of survivors struggle to make a home on a hostile world, a shadow warrior descends to hell and back, and a young boy discovers danger and adventure in his own back yard. 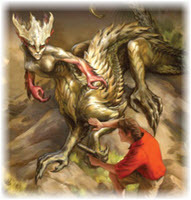 All that plus new fiction from Ryk E. Spoor set in the world of Paradigms Lost. Shipwrecked on a Hostile Alien World! Set adrift on a crippled lifeboat among a sea of stars, a small band of survivors manages to beat the odds and find a habitable planet on which to land. But this strange new world holds a thousand secrets and a thousand deceptions—any one of which might prove deadly. With only each other to lean on, they must avoid the perils of this alien world and build a new life from the wreckage of the old. A new entry in the Boundary series. 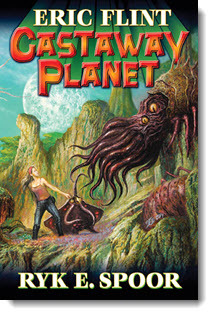 Get Castaway Planet eARC now. Adventure and Wonder in WWII-era Texas! A secret path through an ancient oak, a heartless dog-shooting neighbor, a storm culvert that may lead directly into a secret Nazi plot. 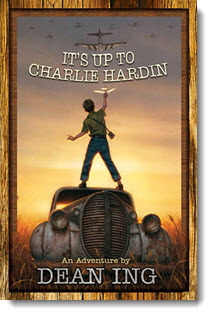 Such are the adventures that await Charlie Hardin, young denizen of WWII-era Austin. Turned loose into the Texas summer, Charlie knows that when danger comes calling, the only thing that counts is to be brave, clever—and sometimes a little bit nuts. Get It’s up to Charlie Hardin eARC now. Cobras Battle One of Their Own! 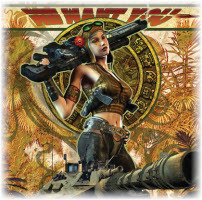 Cobras: technologically enhanced human warriors designed to combat an implacable alien menace known as the Trofts. With war between Cobra factions brewing, Cobra Jason Broom poses as a slave on a Troft prison planet. He seeks information on Troft factions—information that may save the Cobra worlds, and head off a massive interstellar war. Now the stage is set for adventure, with heroes once again fighting for freedom and peace in a galaxy on the edge of war. 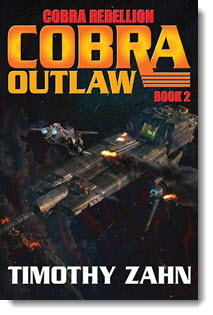 Get Cobra Outlaw eARC now. Dragged into the deep recesses of the earth and enslaved by a mad despot-in-exile, Ran, the Shadow Warrior, must fight his way to the surface even as he plunges into the depths of a mystery. For the earth does not give up its secrets easily—even for the Shadow Warrior. Sequel to The Undead Hordes of Kan-Gul. 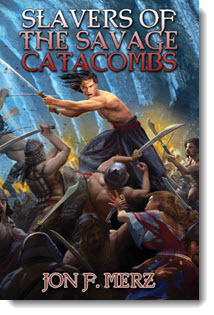 Get Slavers of the Savage Catacombs eARC now. Information specialist Jason Wood makes tidy living recognizing patterns where others see only chaos. But all he wants to do at the moment is kick back with his new wife and celebrate their first Christmas in their new home. But when the police come asking for his help with an unusual murder—one that involves lycanthropy, no less—Jason finds himself on the job and tossed out into a night that is anything but silent. An all new short story set in the worlds of Paradigms Lost by Ryk E. Spoor, just in time for the holidays. Read “Bait and Switch” now. Look to the Stars for Prosperity! For many of us on planet Earth, the present is a time of unprecedented prosperity. For others, the journey to societal riches is only beginning. But can our planet sustain 7+ billion people? Are huge swaths of humanity destined to remain impoverished? Will we simply burn through all of Earth’s resources until there is nothing left to consume? Author and NASA scientist Les Johnson rejects the doomsayers. For there may well be another solution to the questions of resource scarcity and population growth. One that looks to the stars, not as an escape, but as a hope for life right here on Earth. 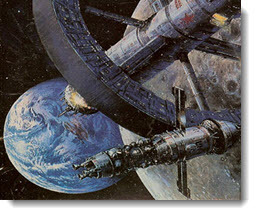 Read “Using Outer Space to Improve Life on Earth” here. 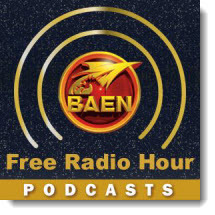 Coming to the Baen Free Radio Hour: Authors Larry Correia and Gray Rinehart talk with editors Jennifer Brozek and Bryan Thomas Schmidt about the new collection Shattered Shields! Set adrift among the stars, a small band of survivors beats the odds and finds a habitable planet on which to build a new life. But this strange new world holds many secrets—some of which may prove deadly. A secret path through an ancient oak, a heartless dog-shooting neighbor, a storm culvert that may lead directly into a secret Nazi plot. Such are the adventures that await Charlie Hardin, young denizen of WWII-era Austin, Texas. A vast, ancient conspiracy stands exposed. But for freedom to finally dawn on the planet of Mesa, Anton Zilwicki of the Star Kingdom and Victor Cachat of Haven must first get the evidence off-planet without getting themselves killed in the process. Time and love are universally experienced and yet dimly understood. Here then, a new collection of stories that explores the transcendental mysteries of both forces, as lovers—happy and otherwise—are caught in bizarre twists of time. The complete Harold Shea stories from SF master L. Sprague de Camp and Fletcher Pratt, together at last! In these five tales of the fantastic, psychologist Harold Shea and his colleagues travel to parallel worlds where magic is real. While skinny-dipping in a pool polluted with radioactive waste, snobbish newspaper arts editor Xavier Thaxton finds himself afflicted with superpowers. “Afflicted” because Thaxton abhors the low-brow aesthetic he now embodies. Forced into taking up the mantle of superhero Count Geiger, Thaxton must overcome his prejudices to save himself. The Best of Electric Velocipede showcases a breathtaking thirty-four pieces of high quality work published during the magazine’s twelve year run. If you’ve never read EV, you’re in for a treat. If you’re already a fan, you’ll find all your favorites and a lot of great writing that deserves a second look. Mega-award winner Mike Resnick shares 17 of his best and most fantastic tales about sports all across the galaxy. Make is an amazing holidays with science fiction, fantasy, and horror tales by Kevin J. Anderson, Mercedes Lackey, Brad R. Torgersen, Patricia Briggs, Jonathan Maberry, Heather Graham, and more. Fans of Christopher Moore and Jim Butcher will love this urban fantasy of ancient gods, werewolves, and, most horrific of all . . . disco! Get your steampunk on! These stories are the very best of the tales published in the popular PENNY DREAD anthology series, collected here for the first time. From #1 international bestseller and award-winner Steven Savile, a collection of heart-wrenching tales from all across the timestream. The cases Dan Shamble, Zombie P.I. Shamble works cases at a vampire circus, with a long-distance monster trucker, at a CosplayCon where a Stormtrooper is murdered with a Klingon as the main suspect, and more.